The five-star landmark hotel of central Haikou on Hainan Island lacked the facilities of a comprehensive luxury experience. 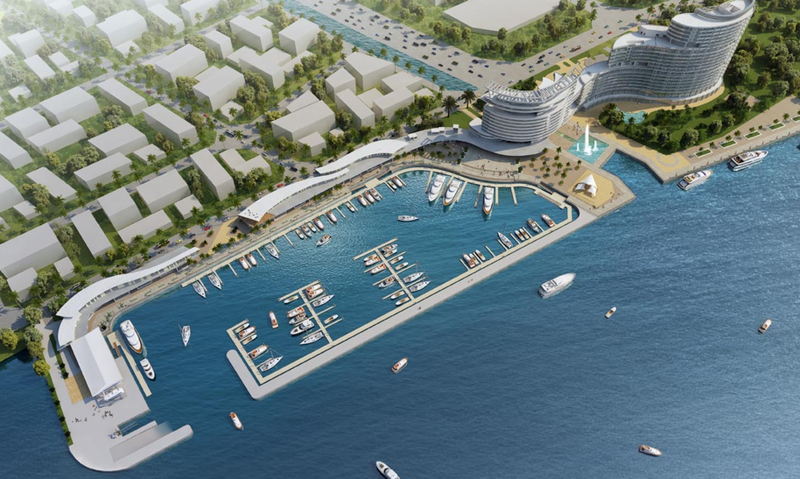 Thus, NDA designed an integrated plan where a yacht and cruise dock, a yacht club and waterfront landscape would successfully integrate the commercial construction with the marina. The clear positioning as the only complete marina hotel in Haikou makes the client’s development stand out in the surrounding competition.